Light Yagami is an ace student with great prospects – and he’s bored out of his mind. But all that changes when he finds the Death Note, a notebook dropped by rogue Shinigami death god. Any human whose name is written in the notebook dies, and now Light has vowed to use the power of the Death Note to rid the world of evil. But when criminals begin dropping dead, the authorities send the legendary detective L to track down the killer. With L hot on his heels, will Light lose sight of his noble goal … or his life? The original DEATH NOTE series, a 12-volume mystery created by writer Tsugumi Ohba and artist Takeshi Obata, continues to be a must-read among legions of ardent fans, having sold over 1.2 million copies in the U.S. to date. DEATH NOTE has spawned not only a fanbook (DEATH NOTE: HOW TO READ 13) and two novels (DEATH NOTE ANOTHER NOTE: THE LOS ANGELES BB MURDER CASES and DEATH NOTE: L, CHANGE THE WORLD), all published by VIZ Media, but also a 37-episode animated series (available streamed online for free at VIZAnime.com and on DVD from VIZ Media), three live-action feature films and a plethora of related posters, toys and action figures. The DEATH NOTE manga and anime are both rated “T+”™ for Older Teens. 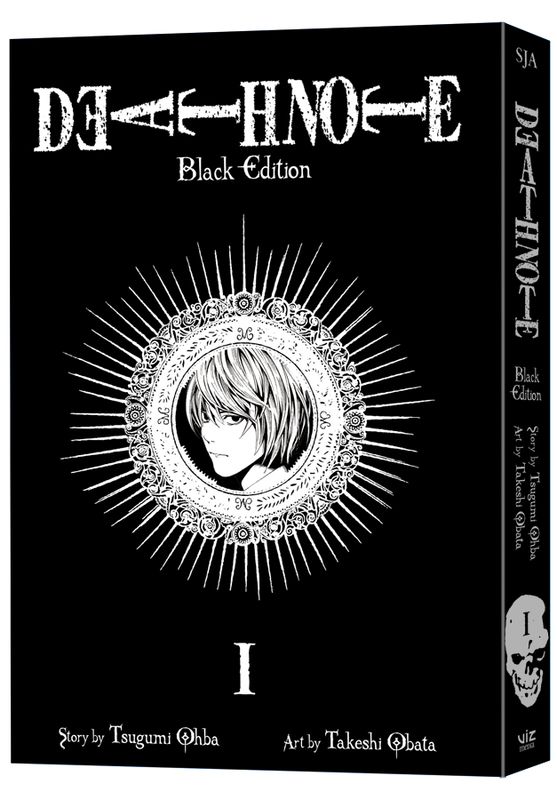 For more information on DEATH NOTE, please visit DeathNote.viz.com. To view animated DEATH NOTE episodes for free, please visit www.VIZAnime.com. For more information on other Shonen Jump titles, please visit www.ShonenJump.com.